This is us on our recent trip to Cannon Hall Museum. Have a look below for more pictures of our fantastic day! 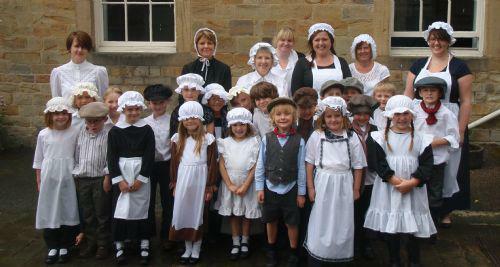 Rufford Class had a wonderful day visiting Cannon Hall Museum as part of our topic about the Victorians. We washed, polished, swept, churned, chopped, baked... it was hard work being servants in the big house. Our next job is to get ready for our class assembly on Thursday 14th July. The mornings always have a phonics session, a Literacy lesson, Numeracy lesson an assembly and breaktime. The afternoons have lots of different lessons often based around the current topic. Monday - Phonics - Literacy - Numeracy - R.E. - P.E. Thursday - Phonics - Numeracy - Literacy - Topic - P.E.